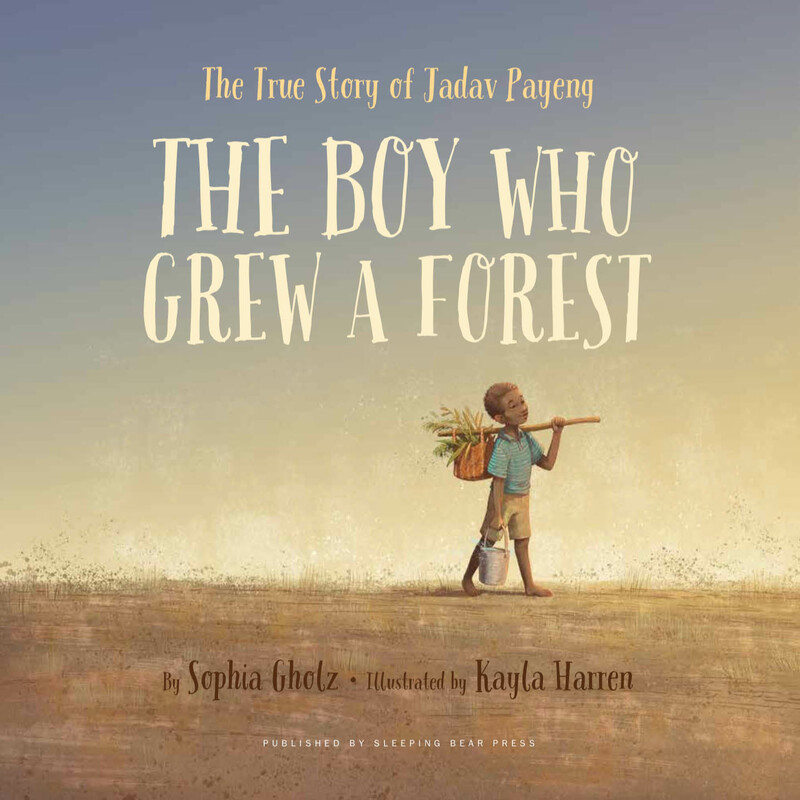 Author Sophia Gholz has a new picture book titled, THE BOY WHO GREW A FOREST. It is is hitting bookstores on March 15th. Sophia has agreed to share a book with one lucky winner. All you have to do to get in the running is to leave a comment. Reblog, tweet, or talk about it on Facebook with a link and you will get additional chances to win. Just let me know the other things you do to share the good news, so I can put in the right amount of tickets in my basket for you. Sharing on Facebook, Twitter, reblogging really helps spread the word for a new book. Thanks for helping Sophia! On Majuli Island in northeastern India there is a mighty forest. The Molai Forest covers over 1,300 acres and contains thousands of different species of plants, trees and wildlife. 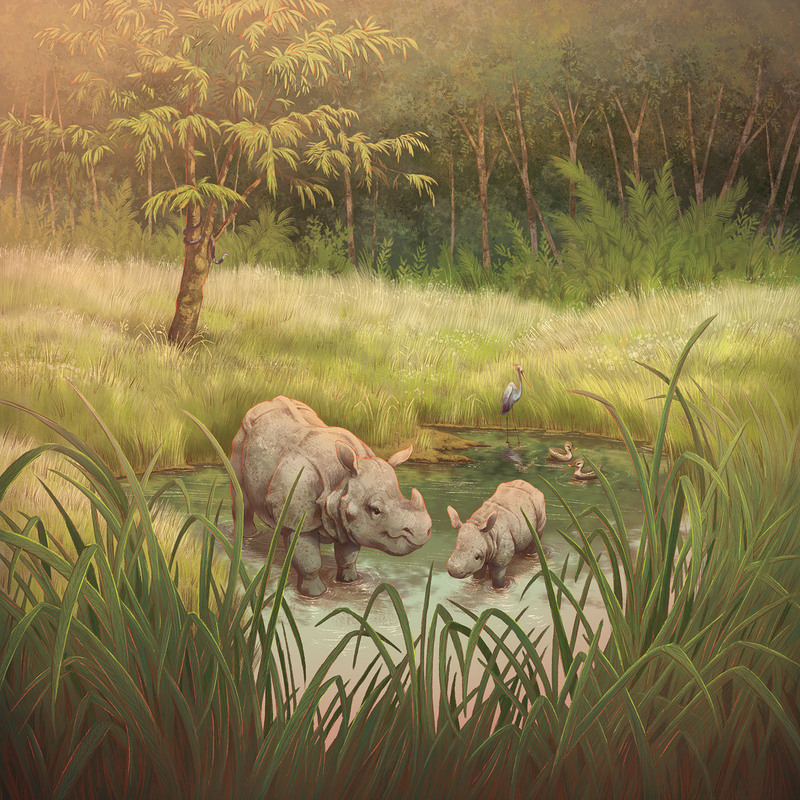 But the Molai Forest was not always there. 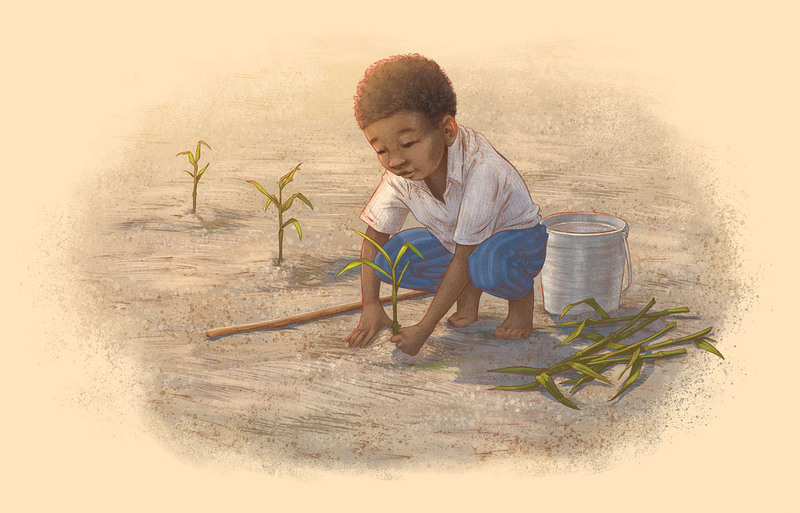 After experiencing devastating flooding, erosion and the poaching of wildlife, a young boy named Jadav began planting bamboo seedlings, making it his lifelong mission to rebuild the forest and its ecosystem. This true story demonstrates the agency a young person can have to affect change. As proved by Jadav, even a simple effort can have an impact beyond your wildest expectations. Young readers will learn about environmental efforts and see that even the mightiest results really do begin with a small seed of an idea. This book can be used as a tie-in for lessons on ecology and sustainability. Ten years ago, I found myself at crossroad. For years I had been an artists’ agent and producer. But while I was helping other artists pursue their dreams, I was ignoring my own: to write books for children. At the time, I really had no idea how to go about making that dream a reality. Then, in early 2011, with the encouragement of a friend (thank you, Corina Vacco!) 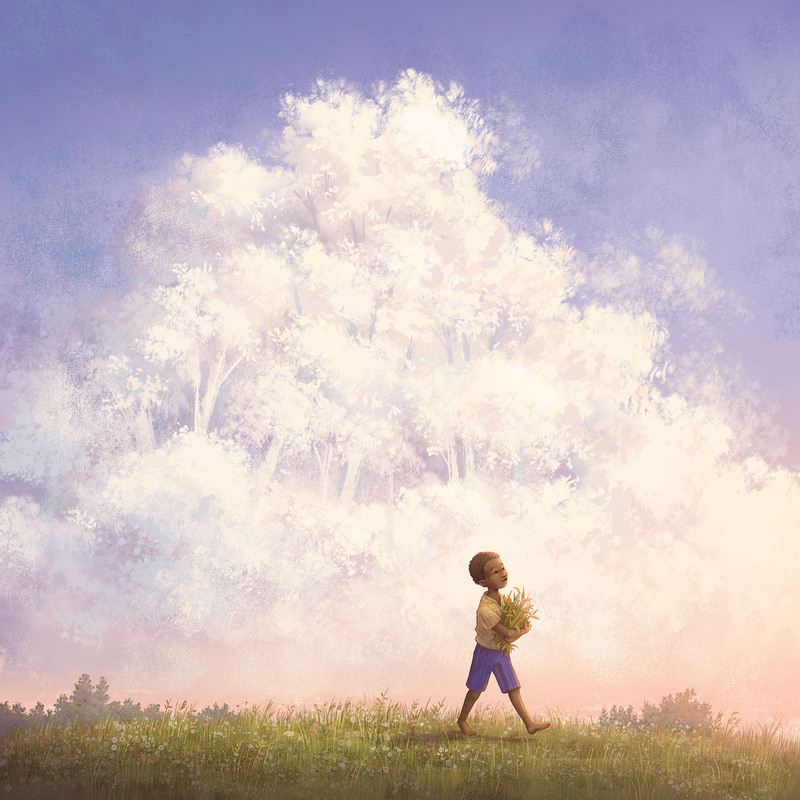 I joined the Society of Children’s Book Writers and Illustrators (SCBWI). However, it would be a long while before I found my footing. Nonfiction with an environmental slant has always appealed to me. My father was a well-known scientist and forest ecologist and my mother was a science writer. I grew up in forests and our home was constantly filled with a diverse cast of scientists from around the globe. The belief that our earth was precious and that it’s our responsibility to care for it was ingrained in me from the start. Still, when I began to write books for children, I never thought about writing nonfiction. It wasn’t until I came across Jadav Payeng’s story that things shifted. 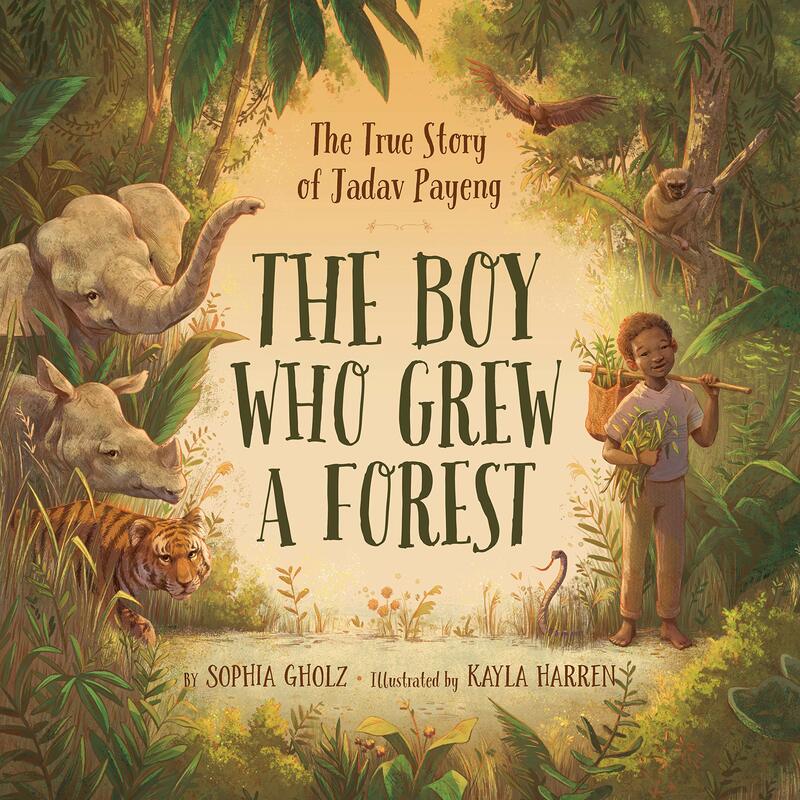 The moment I saw an image of Jadav standing in his forest, I knew I had to share this story. Jadav’s journey brimmed with familiar themes of reforestation, conservation, environmental impacts, biodiversity, and more. But this wasn’t just an interesting subject, it was something near to my heart and how I was raised. Beyond the environmental connection, Jadav also shows us that you can achieve your dreams with enough hard work; and that it only takes one person to make a difference. I felt incredibly inspired and immediately jumped into research. I completed my first draft in early 2016, and it was a mess of a draft. I heartily dug into revisions, but things didn’t immediately click. To me, Jadav’s story felt like the stuff of fiction: full of magic and miracles. After rounds of rewrites, I began to doubt my ability to weave that magic into words. So, I placed my manuscript in a drawer and left it. But I couldn’t stop thinking about it. A year later, I pulled my manuscript out and rewrote it once more. 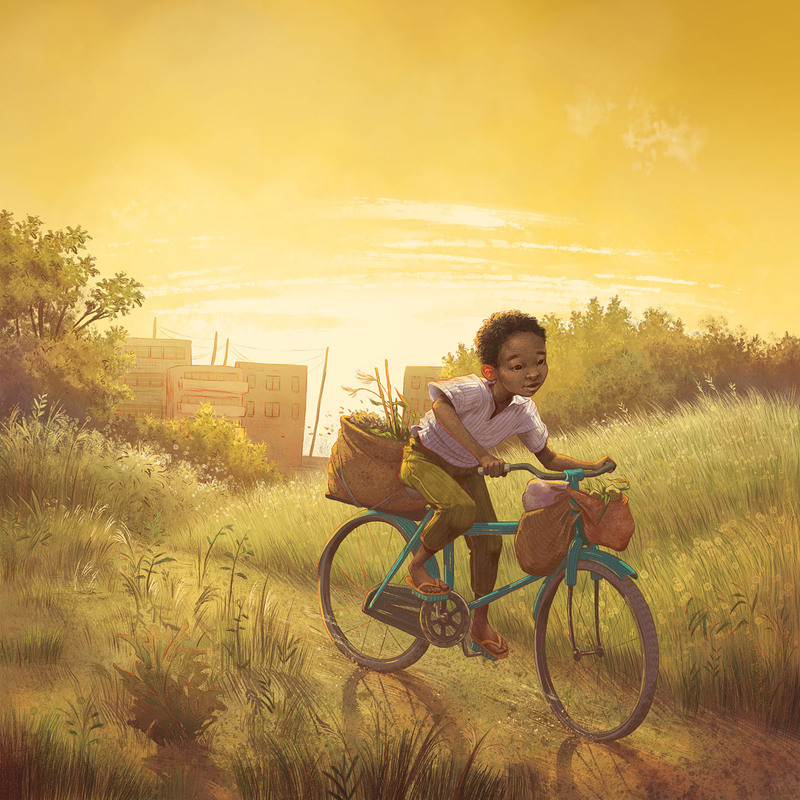 This time, however, I focused on pacing and left the reveal of Jadav’s name until the final spread. I wanted children to feel that same awe that I felt, when they turned the last page and realized this story is true. At the urging of friends, I then submitted my manuscript to the Florida SCBWI Rising Kite Awards. I was shocked when I learned I won third place in the nonfiction category. Shortly after, The Boy Who Grew a Forest went out on submission. Through all of this, my father cheered me on—the first ecologist and forest lover in my life. I could barely contain my excitement when we received the offer from Sleeping Bear Press. Not only does Sleeping Bear produce beautiful books, but they’re also based in Michigan—not far from where my parents grew up! It felt as though it was meant to be. Five days later, I got another call: my dad had been fatally injured in a climbing accident in Rocky Mountain National Park. In the span of one week, I’d experienced the best and worst moments of my life. The following months were a blur. Things progressed with my publisher and I am incredibly grateful for their support and vision for this book. Initially, I was unfamiliar with the illustrator, Kayla Harren, but fell instantly in love with her ability to breathe life into characters and her beautiful attention to details. Working with her has been another dream come true. It’s also been a great example of a “small-world moment”. After months of collaborating on this project, I learned we’d actually met several years prior. Turns out, when we were both living in New York City and working in different industries, we’d actually spent a whole day together. I could not believe it! More than anything, however, I am grateful that I was able to share the publication of this book with my father before he died. My admiration and respect for our planet and how ecological processes are interwoven, were formed early in life because of him. My dream now is that Jadav’s story inspires and ignites a green spark in all who read it. I hope children see themselves in this book and realize that they too can make a difference. 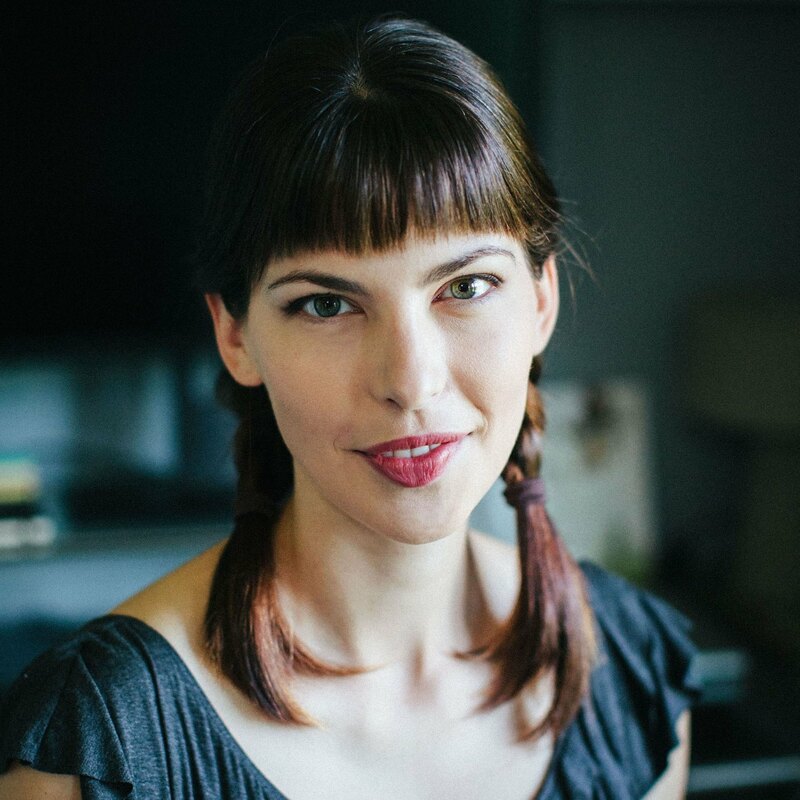 Sophia is a children’s book author,a lifelong writer, tree-hugger, music lover, magic seeker, and avid reader. As a kid, Sophia spent most of her time riding horses, causing mischief with her brothers, or exploring the globe with her parents. The latter often included tents and forests, while accompanying her father on various scientific adventures. Her father was a prominent forest ecologist, and some of her earliest memories are of camping in research forests. She lives in Jacksonville Beach, Florida. Visit her website at http://www.sophiagholz.com www.sophiagholz.com. 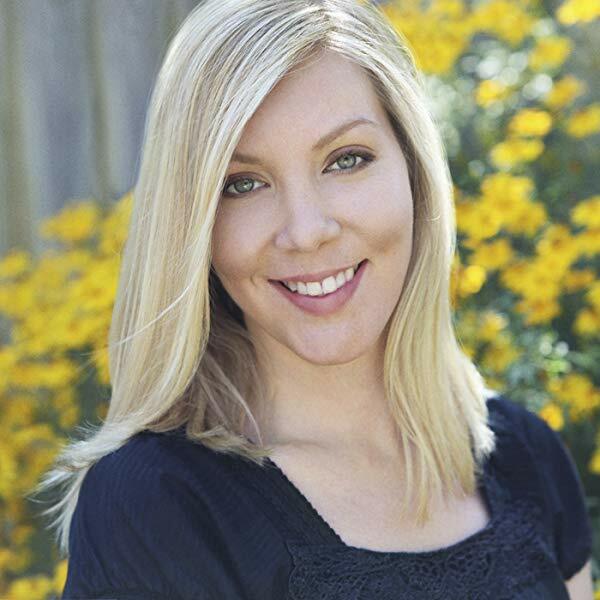 Kayla Harren’s books include Hannah’s Tall Order: An A to Z Sandwich and Mary Had a Little Lizard. She lives in St. Paul, Minnesota. Learn more about her at www.kaylaharren.com. Kayla was recently featured on Illustrator Saturday. Thank you Sophia for sharing your book and Journey with us. This is a great picture book with a great message to share with children. Kayla did a fantastic job with the illustrations. Kayla was featured on Illustrator Saturday last month. Here is the link. The illustrations in these snippets and the summary of the story are so magical. I can;t wait to read this PB. Thanks Kathy for highlighting it. So much to celebrate with this book release. I always enjoy the story behind the story and yours is a great one. Congratulations! I’ve heard of this man’s story and found it inspiring as a lover of nature as well. The book looks beautiful and intelligently written. Many good wishes to Sophia and all who were involved in making one dream a reality! I look forward to reading it myself! Wow, this is beautiful! Congratulations! What a great story and back story ! I definitely need to check this one out. I love the inspiring message that can apply to everyone too. Congratulations on your upcoming book birthday, Sophia. I loved learning the back story & am so happy that your father was able to learn about your publishing success. Wow. This looks like a wonderful story for kids to know. Thanks for the post. Such a wonderful inspiring story. Thanks so much for the chance to win a copy! I tweeted a link to this post: https://twitter.com/carlrscott/status/1103713272379826177, and pinned an image with a link on Pinterest: https://www.pinterest.com.mx/pin/336573772149810254/. So sad about your father. RMNP is near us. But glad he got to see your book. I’d read about him as an adult. This looks like a beautiful book! Nice work! Congratulations! 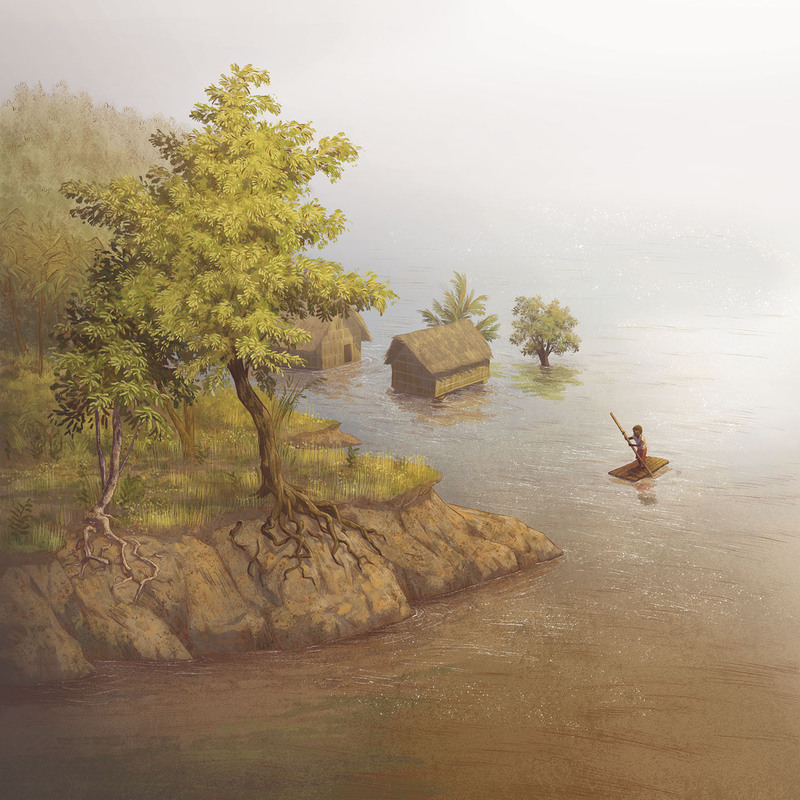 It’s a beautiful book and story, a tale of healing the earth. Such a wonderful journey, Sophia! All except the news about your father. But I’m so glad you were able to share this success with him. He must have been so proud of you! Congrats as you share your book baby with children everywhere! What a beautiful book! Congratulations to Sophia and Kayla! 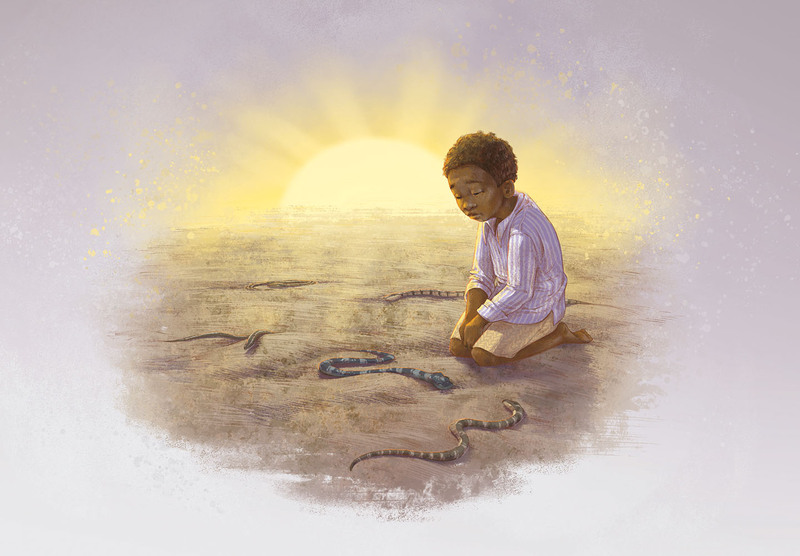 These illustrations are beautiful, and though I am currently unfamiliar, this sounds like a powerful story! I’m definitely going to be looking to see if I can get copies into our store. I can’t wait to read this book! I love how planting 1 tree/plant at a time made such a huge difference. One day at a time. Thank you for writing this! Congratulations! (And very sorry to hear about your father!). 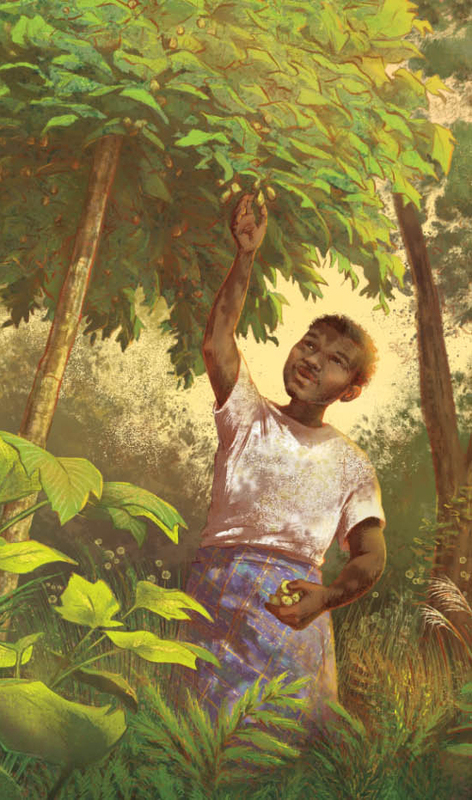 What an amazing story and beautiful illustrations. Congrats to both Sophia and Kayla! So sorry about your beloved father. May he continue to be a source of inspiration to you. Awesome story & illustrations! Congratulations! What a gorgeous book and an even more beautiful reason it was written. Looking forward to reading it. Can’t wait to read this aloud to my class! What a fantastic-looking book. I love sharing books with my children with diverse characters. What an amazing story, showing how small actions gain power with time! I’m so glad this book is finally going to be out in the world. Congratulations. Amazing determination and perseverance to get this story out there, much like Jadav! Bravo! Can’t wait to read this story! Environmental perseverance and determination are timely topics. Thanks for sharing your journey! Very excited to read The Boy Who Grew a Forest. Sounds like an inspiring story. The illustrations look fantastic.